Mortensen is reporting the Jets are discussing Simien with Denver in the event Romo ends up with the Broncos. Well Cutler would be leftovers. And in a tank season, I suppose it wouldn't be so awful having him come in and "lead" us to 2-14. Not like he'd be the starter in 2018 or anything. And he needs surgery on his throwing arm which will likely diminish his one positive characteristic, arm strength. They could get anyone to do that, but this franchise has had enough name guys that have been anti-leaders over the last few seasons especially last year. If they're going to splat the bed I'd rather do it without Cutler fighting his team and the media. Can't say I'm a big fan of that either. Siemian is a weak armed JAG QB...but at least he's not an embarrassment like Cutler. Like the signing of Beachum. He was a tremendous player but had a down year with the Jaguars last season (iirc he had a concussion early in the year, maybe that had something to do with it) but I have faith he'll rebound and continue his solid play. Not a fan of the Catanzaro signing. Coming off a down year...isn't he not known for having a big leg. Had some bad clutch misses this year. Granted I was down on the folk signing as well but at least he had a strong leg. But rebuilding teams don't need top kickers so Catanzaro for 2017 and 2017 isn't the worst thing in the world. Jets have contacted Jay Cutler, and are scheduling a meeting. Fingers crossed. Odd situation, signing Hightower is doable as we'd just cut Harris, but it's not a traditional team in rebuilding move. Neither is Cutler. Cutler intrigues me. I think he has gotten a bit of a bad rap in a tumultuous Chicago situation. I just don't know if he's the right fit, even as a bridge QB. I'm not sure we would cut David Harris. Kimberley Martin doesn't believe it would impact him either. #1) Bowles is in love with the guy. #2) Bowles doesn't seem like he has any plans to deviate from a 3-4. If that's the case, they'll need Harris to round on the LB's. Signing Dont'a could be an indication that Sheldon's going to remain a Jet this season. He could go back to his natural position on the DL with his hand in the dirt. Richardson, Mo, Williams, Lee, Harris, Jenkins, Hightower. That's a very good front seven. EDIT: And yes, you're right. The Jets interested in players like Hightower, Flowers, Barwin, Cutler, and some other names I've heard.. doesn't exactly scream rebuild to me either. The Jets interested in players like Hightower, Flowers, Barwin, Cutler, and some other names I've heard.. doesn't exactly scream rebuild to me either. Agreed, that's why the Devils are deep in sh!t now, because they stayed in win now mode too long and never reaped benefits of selling guys off. Plus having Cory kept them from bottoming out for two more years, and now they're finally doing it in the wrong year. The Jets shouldn't try to appease the we must attempt to make a run at the second wild card spot in the playoffs every year crowd, their team wasn't good enough to make the playoffs the last two years, they cut a lot of vets, they have few kids to speak of and the Pats are still a division behemoth with the Fish also a presence, now would be the exact time to start a rebuild especially with a good draft next year. That said I wouldn't be against the Hightower signing, he's not JUST about 2017. The only FA's the Jets should be signing are cheap stopgaps and guys who will help when this team has a good enough foundation to be a contender every year, not the expensive short window vets a la two years ago. Apparently he's still mulling it over. That being said, it makes sense for the Jets to sign him if they truly think he can help their team beyond 2017, and also give them a little credibility right now. Bad teams need that first piece, that guy who can not only turn things around with his ability, but his presence among his teammates...but even then, unless a huge influx of new talent comes in, that guy isn't going to make a huge results difference on his own. That's why you have to be convinced that Hightower can still be Hightower in 2018 and possibly 2019. Or even later. Just hard to tell how long it will be before the Jets are ready to contend, as it's hard to tell if they're truly embracing a rebound or are one or two moves away from going back into "right now" mode. If the Jets bring in Hightower just to try to get to NE (and think that it will weaken them to the point where the Jets will be able to cash in), then they're definitely doing it for the wrong reasons. By the same token if they were automatically going to try to (cough) reload, then what was the point of cutting Mangold without even trying to rework his deal? Or cutting Marshall when you claim you wanted to keep him beyond next year. They've sent out mixed signals to the nth degree almost like they're still trying to decide what to do. Or Macc trying to suurptitiously set the rebuild in motion while giving off the appearance he tried to make all these different moves. By the same token if they were automatically going to try to (cough) reload, then what was the point of cutting Mangold without even trying to rework his deal? Or cutting Marshall. They've sent out mixed signals to the nth degree almost like they're still trying to decide what to do. Agreed...almost like they were saying "OK, let's do this, let's commit to a rebui...wait, maybe if we throw a bunch of coin and some cupcakes at Hightower, we can get him?" If you're Hightower, you've got to wonder what the plan is...even if it turns out that the Jets will be the team offering the most money (and as we've seen, sometimes that's more than enough to get a player to sign with any given team). If they don't land Hightower (and it doesn't look like they ever thought they would) I think Barwin would be ok. He's visiting with the Rams now. With the Jets market and PSL's and all...it is tough to sell a true rebuild. And rebuilds aren't really what they used to be in the fast turnaround NFL. I think the Jets fan-base would accept a bottoming out this year but they would want to compete again in 2018. If Beachum rebounds the O-Line may not be a complete disaster. Figure they may draft another piece to stick in there. As of right now I see somewhere between 2-14 and 6-10. The schedule is brutal. Meh, the NFL is not like any of the other sports when it comes to rebuilding. For one thing, you almost always need a very good quarterback to become a regular playoff team, and the bust rate on QBs picked in the first round, and even in the top ten picks is pretty high. So in hockey at least, if you're one of the worst five teams you're probably getting a good player in the draft, whereas in the NFL, there's a good chance you take a QB who ends up being average or below average. You also have 22 starting positions to fill (33 if you include special teams) and a 51 man roster. In a seven round draft, where your last few picks figure to be practice squad guys, you can't possibly truly rebuild through the draft alone. It also seems that you have a lot less in the way of trading players on your roster for first or second round picks than you do in the NHL. You hear about the Jets trading Richardson for a third round pick, but that will likely turn into someone who's just a pretty good roster player. Basically, the only reason to really tear the whole thing down for a year is if there's someone specific at the top of the draft class, like Luck, Clowney or even Jameis Winston. I'll give Macc credit in that he holds his cards very close to the vest and throws out many conflicting and misleading reports. Especially about players the Jets are supposedly hot on (Trubisky) then those reports are refuted. I would never guess the Jets would be in on Hightower at all pre free agency. The Jets next moves have been a lot more difficult to predict under Macc. I guess with Mangold, Wes Johnson either did a good enough job in Maccs eyes...or they're likely going C somewhere in the top 3 rounds. The Mets got away with a full rebuild, they just never called it one cause it's a forbidden word to actually use much like recession is forbidden to say in politics. I think it's a canard that all these teams hide behind to say fans won't accept a rebuild. Would they be as willing to pay to go see one? No, but it's not like the Jets are plummeting down to 25,000 STH's either. I'm sure Knick fans would take a true rebuild over their misguided last fifteen years. 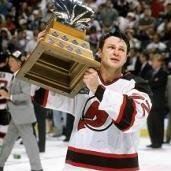 Devil fans are begging for one. Isle fans lived through theirs and a lot of their fans are Jet fans. The Knicks still sell out all of their games even though they're apparently brutal to watch. If the Jets-Dolphins game I went to is any indication -- there could have been at most 20,000 people there -- fans already aren't showing up, so if you're not going to be good anyway, might as well do what you have to do notwithstanding my earlier post that NFL teams don't really rebuild like they do in other sports. Would be hard for me to imagine what it would be like for the Devils to go through a ten year playoff drought, although we're already halfway there. Enough people might show up to watch the young players, but there will be a lot of brutal, brutal nights attendance-wise. The Jets are a heck of a lot more solvent than the Isles and Mets were, but I also feel that as a fan base the Jets fan is just incredibly impatient now...and without that bigtime QB waiting in the wings, it is very hard to get behind a full rebuild (though I personally would not be against it) but a lot of these rebuilds can become rebuilds to nowhere if the best you can do is throw out a Sanchez or McCown at QB. The Jets had a nice window from 2008-2012, but they were hampered by erratic and mostly poor QB play. Plus most NFL teams don't have the behemoth in the division the Pats are. As long as BB and TB are still there the next couple years everyone in the division is just playing to go 10-6, 11-5 and hope for a WC spot, which makes it that much more prohibitive to make a deep playoff run notwithstanding all the WC teams that do make runs. Look at 2010, they had to jump through fire to beat Manning and Brady on the road back to back...and still had to get past Big Ben after. Hightower remains in NE. 4 years at 10.8mil per year and 19 mil guaranteed. Meh, the NFL is not like any of the other sports when it comes to rebuilding. For one thing, you almost always need a very good quarterback to become a regular playoff team, and the bust rate on QBs picked in the first round, and even in the top ten picks is pretty high. So in hockey at least, if you're one of the worst five teams you're probably getting a good player in the draft, whereas in the NFL, there's a good chance you take a QB who ends up being average or below average. Exactly. I have never been a supporter of a full "rebuild" when it comes to football. Baseball & hockey, fine. But when it comes to a 16 game year (where injuries can completely change the course of a season for teams) single-elimination playoffs, and the amount of parity that already comes with the league.. it just doesn't pay to fully blow-up the whole thing. There have been so many examples of "average" teams getting hot at the right time, and doing great things in the NFL. I don't often see that in hockey. In the NHL & MLB, the best teams usually win. In the NFL, the hot teams do. By the same token if they were automatically going to try to (cough) reload, then what was the point of cutting Mangold without even trying to rework his deal? Or cutting Marshall? Marshall had altercations with Revis, Pryor and Richardson last season. He had a halftime meltdown during the New England game that angered the entire team. Seth Walder said that no one on the roster really wanted him back. I would like to give the guy the benefit of the doubt, but let's be fair here.. he's on his 5th different team now (with the Giants) over the last 7 years. The guy has a history of wearing out his welcome everywhere he goes. Fans blast the Jets for acquiring malcontent players like Marshall.. but question why when they get shown the door? Regarding Mangold.. you have no idea what type of conversation(s) the organization had with him. They may have told him: hey, go out there, see what your value is, and let us know. He may find his way back this year. If he doesn't.. that's okay too. He's 33 years old, and had alot of trouble staying on the field this past season. The guy wasn't going to play forever.. and thank God (like 7 pointed out) Johnson's 26 years old. He went up against some tough front sevens, and looked damn good. Almost like they're saying "OK, let's do this, let's commit to a rebui...wait, maybe if we throw a bunch of coin and some cupcakes at Hightower, we can get him?" Rebuilds are usually a two year plan. You don't look at the current year as much as you look forward towards next season. Having said that.. next season will be Season #4 for this administration (Maccagnan & Bowles) provided they last that long. If the organization was genuine about a "rebuild".. why didn't they do it Year 1 after Rex got fired December 2014? Why did they go out and acquire Forte, Marshall, Gilchrist, Skrine, Cromartie, Revis, etc. and spend 50 million dollars? The Jets have a GM & HC that are fighting for their lives.. and fans think they're going to tear it all down? --I don't see that. In Mehta's article he mentions that Revis played last year at 217lbs, which is a good 20lbs above his regular playing weight. Kind of explains the lack of speed. What is the excuse for being so overweight last year? And Bowles was ok with this just throwing him out there? Utterly convinced he's going to be in tip top shape and dominant form somewhere next season. But it was ok for him to just show up here, fat and lazy and collect his millions and essentially take a year off. Yes. Normally NE just lets the guy walk. It reminds me of the way Lou did business. They assign a value and stick to it. That really pisses me off. I wanted Hightower BAD. Maccagnan can't seal the deal if his life depended on it. And I thought Idzik was bad. Dont'a Hightower, Jack Crawford, RG3, Ron Brooks, Jermaine Gresham, K'Waun Williams, Courtney Upshaw. Over the past year, every free agent MM hosts, leaves and signs elsewhere. Even CJ Spiller originally visited, then signed with Seattle, before tucking his tail between his legs and signing with the Jets 3 months after the fact when Seattle released him. He's such an amateur GM it's comical. At this point, I hope Jay Cutler just signs instead of visits. Visits are the kiss of death. Howard Jones & Zach Line are the next two guys that'll be here for a "visit" this week. Maybe try brownies this time.